Worldwide Vintage Autos has sold thousands of classic cars and trucks to happy customers all over the world. 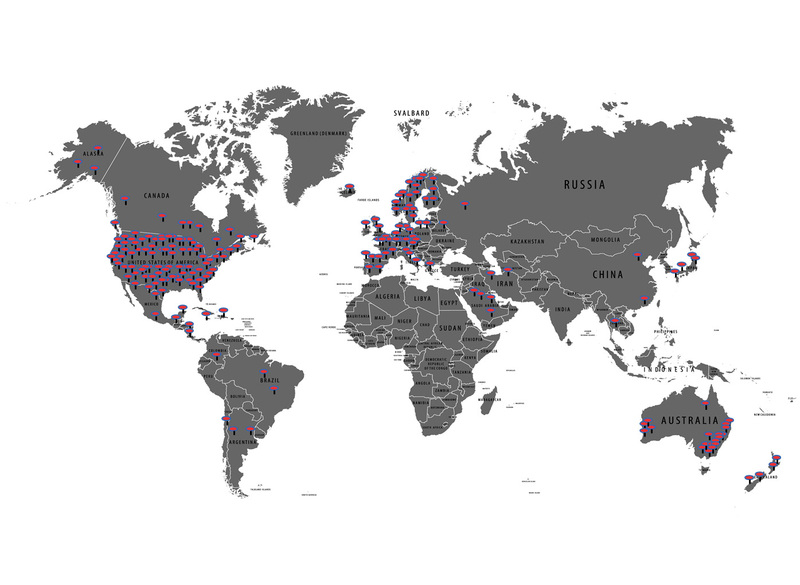 Please take a look at where some of our customers are located and what they are saying. These are true, unfiltered and unsolicited reviews by customers of Worldwide Vintage Autos. WWVA is fortunate to share our passion with great customers all around the globe! Happy motoring! “We recently sold 2 vehicles through World Wide Autos, a fully restored 1968 Mustang and a Factory V Cobra that we built. We were in need of someone that could help us value and market these cars. Alex was friendly, knowledgeable and professional. He personally came out to value the cars, he transported them to his show room for us, and the cars were sold within weeks, for a fair price to both sides. Once the cars were sold, Alex paid us the same day we signed over the title. Alex made the whole process as painless as possible and we would definitely take advantage of his services in the future.” Lynda M.